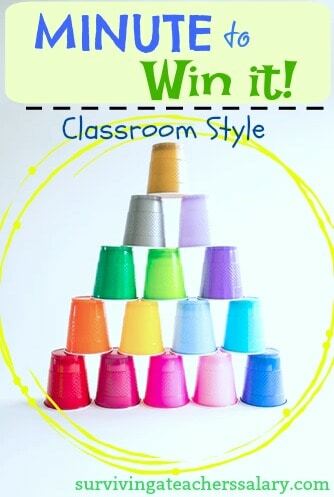 What are Minute to Win it Games for the Classroom? If you haven’t heard of Minute to Win it Games – don’ worry! They are pretty self-explanatory! They are games that take just 1 minute to try and win! But be forewarned – some of these games are impossibly hard! 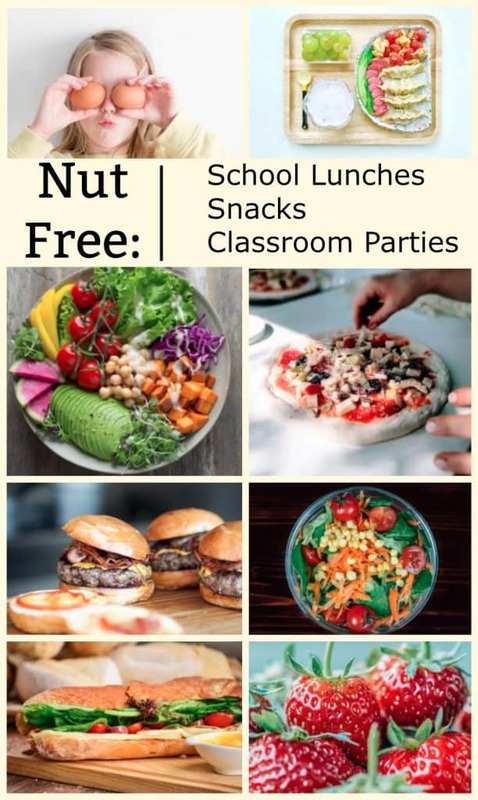 These are great interactive games to squeeze in between class periods, play for family game night, theme a party around, play at a carnival, and anywhere else you have just an extra minute! 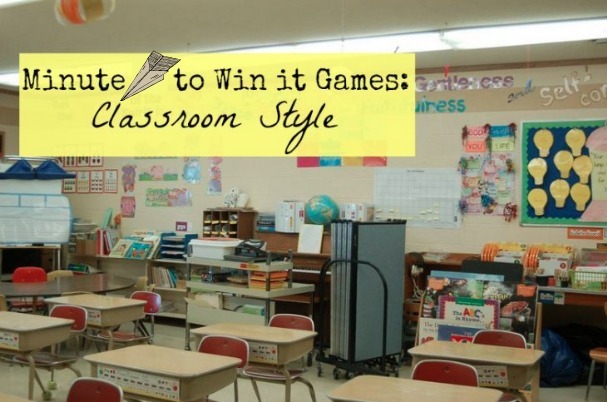 These particular games can easily be adjusted to meet a group or classroom size! Put an educational spin on them or just use them to get some wiggles out! In one minute have groups compete on how many cups they can stack to form a tower! Make it harder by adding points for different colored cups used! Or use a Sharpie marker to write a letter on each cup and bonus points for each word created while stacking the tower! Will students win more points for more words or for higher towers!? If you’re working on reading and literacy skills this busy game will keep your wiggles at bay and the kids will be learning compound words in a fun way! Have an adult write words on separate pieces of paper that will form a compound word and then hide them around the room or playground. (ex: “sand” “box”; “base” “ball”; “camp” “ground”, etc.) In one minute or less they must run around the room trying to match as many compound words as they can. You can easily turn this game into matching uppercase and lowercase letters, English and Spanish words, periodic table elements with their abbreviations, etc. Whether you decide to buy small puzzles or cut up cereal boxes (or magazine pages!) the students must put together their puzzle in one minute or less! If you’re extra creative you can make your own blank puzzles and have connecting math problems, letters, numbers, etc. This is not only fun to play but it’s hilarious to watch! Set up a string across the room (or in between trees!) and string food across! Typically you see doughnuts but you can make it trickier with something smaller like Fruit Loops! Without using your hands you must eat the hanging doughnut (or other food item) in 1 minute or less! If you don’t want to use food you can use felt food hanging on clothespins! This would be a fun one to tie in with the Very Hungry Caterpillar ! Here’s another great one to play outdoors! For this you’ll simply need a balloon and a spray bottle filled with water – one per person. The object of this simple task is to keep the balloon in the air without using your hands by spraying water up at it! One Minute! If you have younger kids they can use a pool noodle cut in thirds to use as a bat but make sure they are spread out far from each other! Have students compete their sense of feel by reaching their hands into a bucket of uncooked rice mixed with safety pins . They must keep their eyes CLOSED and grab as many individual pins as they can in one minute or less. They cannot just grab handfuls of rice! They must feel around and try to grab the safety pins only! Designate different points for different sized safety pins! In one minute or less you must stack five items provided. Choose objects appropriate for the age of the children playing. Some ideas to stack are soda cans, apples, soup cans, toilet paper tubes, marshmallows, Cheerios, etc. Kids can work as a team on this one if you want! Take several long strands of masking tape and attach the tape into the door frame so that the sticky side is facing you. Then use pieces of tape to attach everything together like a spider web. Students then have one minute or less to get 10 cotton balls to stick to the tape without falling off by throwing it at the doorway! 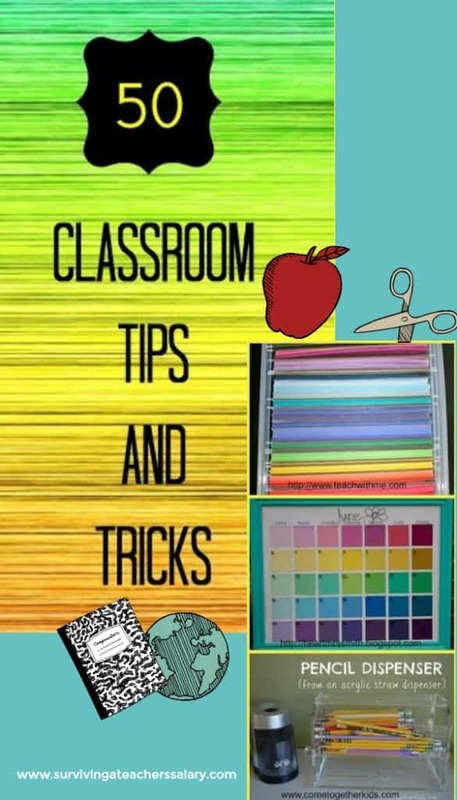 A similar idea you can also do is to have students bounce a ping pong ball across the classroom into a bucket or cup – but be forewarned this version can get rowdy! I love this one because it’s a great personal challenge and really works on those fine motor skills! You’ll need a pair of chopsticks, a Chinese take out box and a pile of marshmallows. In one minute or less the kids must use the chopsticks only to get as many marshmallows in the box as they can! You’ll need one hula hoop and a pile of Frisbees for this gross motor skills test of skill. (or even paper airplanes!) Head outdoors and tie your hula hoop up hanging from a tree or basketball pole so that it is free hanging. In one minute or less students must throw 10 Frisbees through the hoop. Want even MORE ideas!? Check out our Minute to Win it Pinterest Board!